How about some prickles with your salt? | Where to next? How about some prickles with your salt? 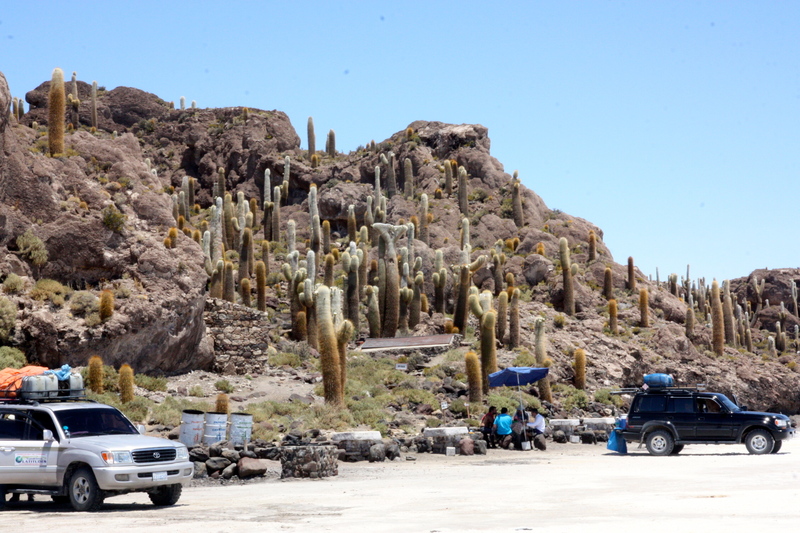 After visiting a salt-processing village and the Eyes of the Salar in the ginormous salt flat of southwestern Bolivia, we sped off to the cactus island, about 10 kilometres away and almost at the geographic centre of the Uyuni de Salar. Called Isla Incahuasi, this island one of 72 ‘stranded’ on the flat, with about a third of them having a surface area of at least one square kilometer. All these islands are the tops of ancient volcanoes. They were submerged during the era of Lake Minchin, which was around about 40,000 years ago. In addition to thousands and thousands of cacti, Isla Incahuasi has coral-like structures and deposits that contain fossils and algae. The group had lunch—a great spread of roasted chicken, potatoes and salads—before tackling a 30-minute trek to the top of the island. As usual, the walk took longer and the climb was higher than I expected, but then I am dawdler and a slow one at that. 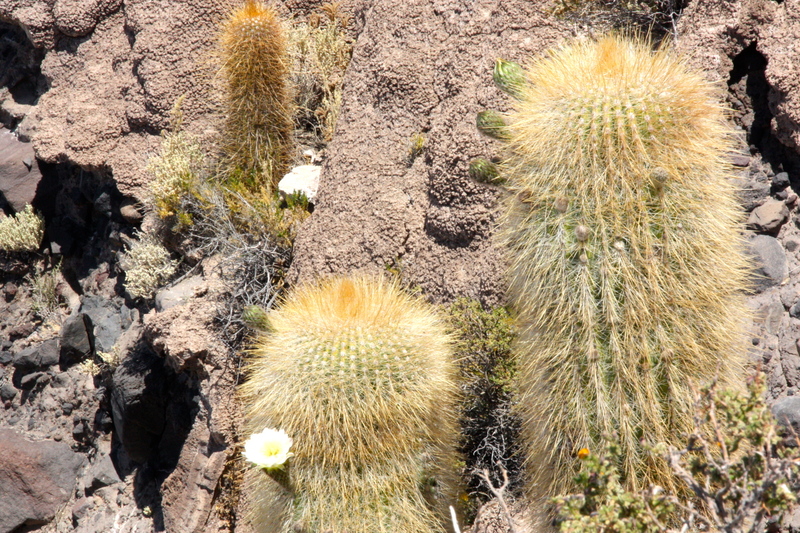 A few cacti were in bloom, plus we saw an ancient, but very dead, cactus. The sign said it had been more than 12 metres tall and 1203 years old, and had died in 2007. Then it was back into the 4WDs for a photo session on the huge expanse of salt. The flatness and whiteness allow for a lot of creativity. The girls got frisky, Hippy had an outing and everyone got creative with an array of props from the truck and/or borrowed from the hostel. It’s an incredible place. You’re making me think I need to go again. SOON!